Hi, I'm Heather Suess, a Farm Bureau Financial Services agent in Chandler, AZ. I'm here to make insurance simple for you. I'm committed to helping you prepare for the future and protect what matters most. Let me help you through all stages of your life. 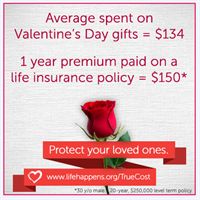 For your insurance needs, call (480) 899-1997. Thank you for either being a loyal Farm Bureau client, or a future Farm Bureau Client.